What is it and what do I do with it? 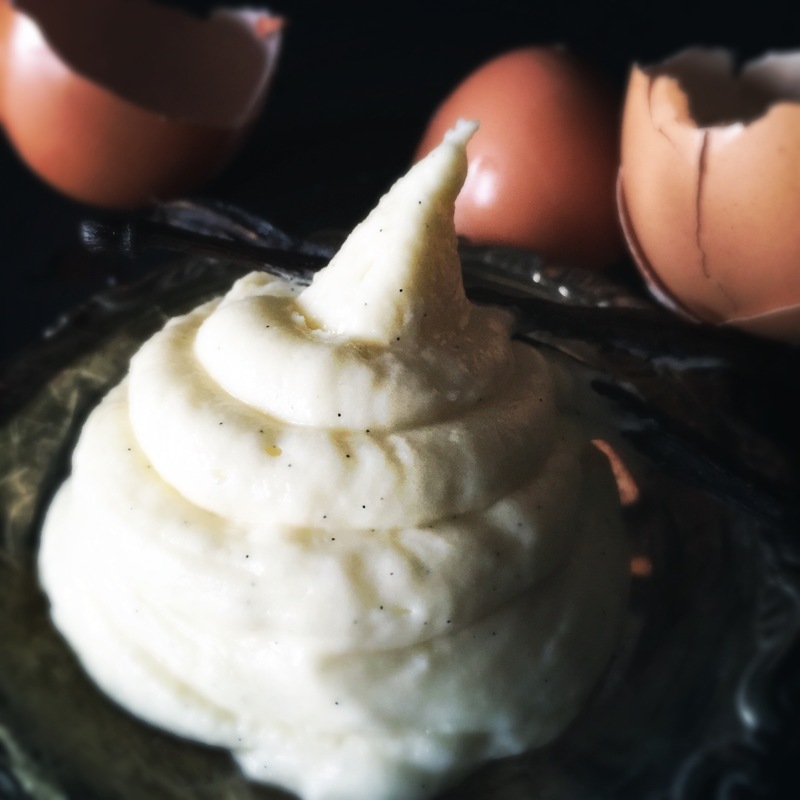 Crème Mousseline is a French pastry filling but unlike other pastry fillings, this one uses uncooked butter. Crème Mousseline when translated into English means Cream Chiffon. Oh my! In my opinion this translation is spot on. Not like chiffon pies or cakes but more like a chiffon dress. Decadent, flowing and beautiful. Yum! I can’t believe that it’s not used in everything calling for a pastry cream or custard. There must be only reason for this – it has to be eaten within 24 hours due to the uncooked butter but it can also be frozen due to the uncooked butter! I think I’m going to have fun experimenting with this stuff! Heat milk in saucepan over low heat until warm. 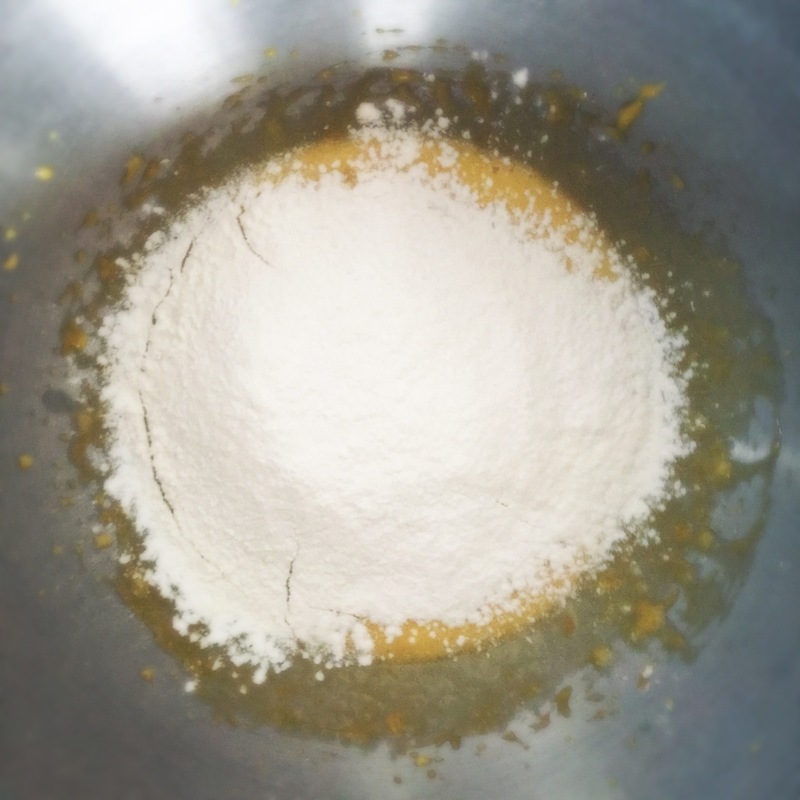 While milk is warming, mix the egg yolks and sugar in a mixing bowl. 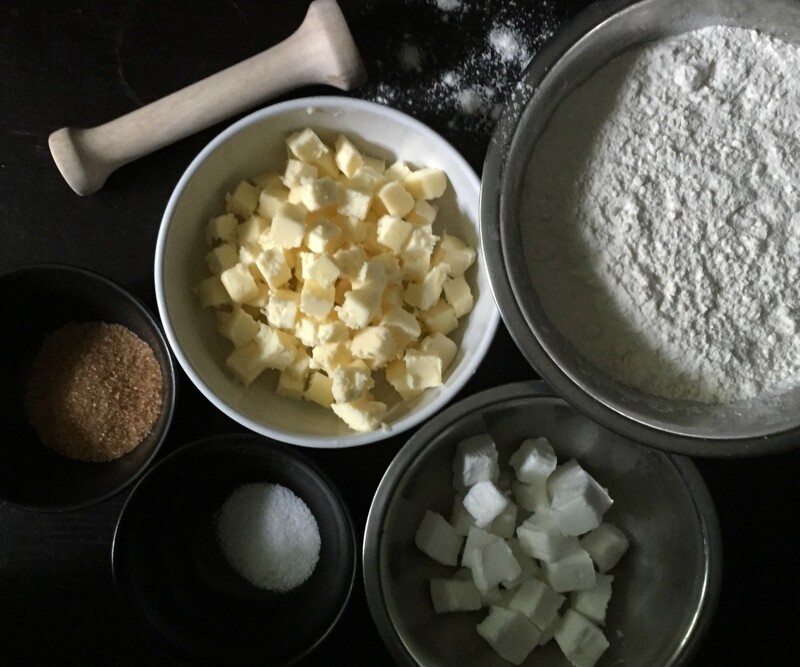 Sift the flour and cornstarch into egg and sugar mixture and whisk until smooth. 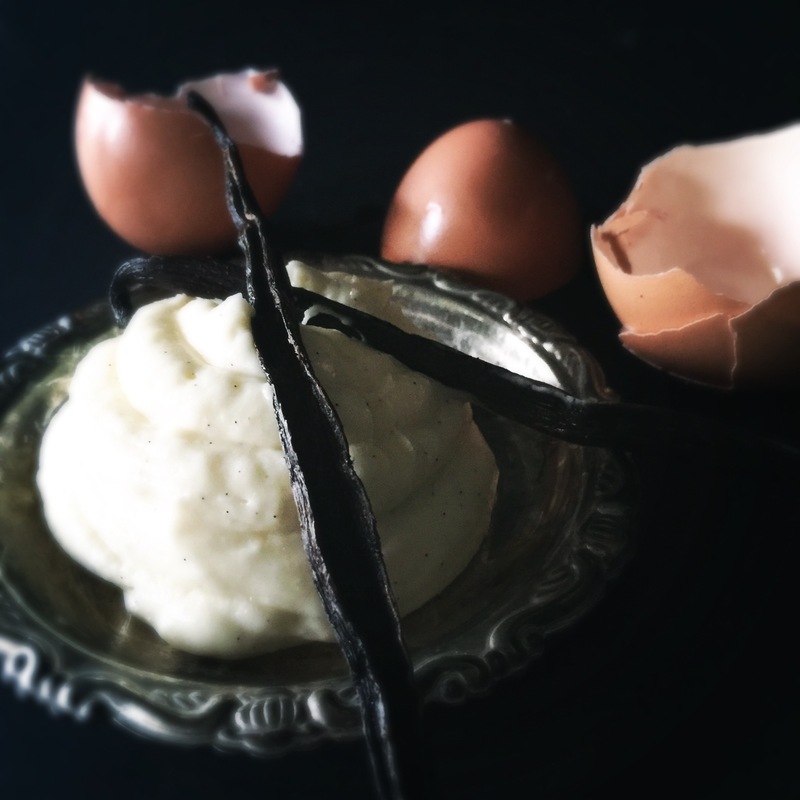 Cut one vanilla bean lengthwise and scrape the inside of the bean into the egg and flour mixture. Add pinch of salt and stir together. 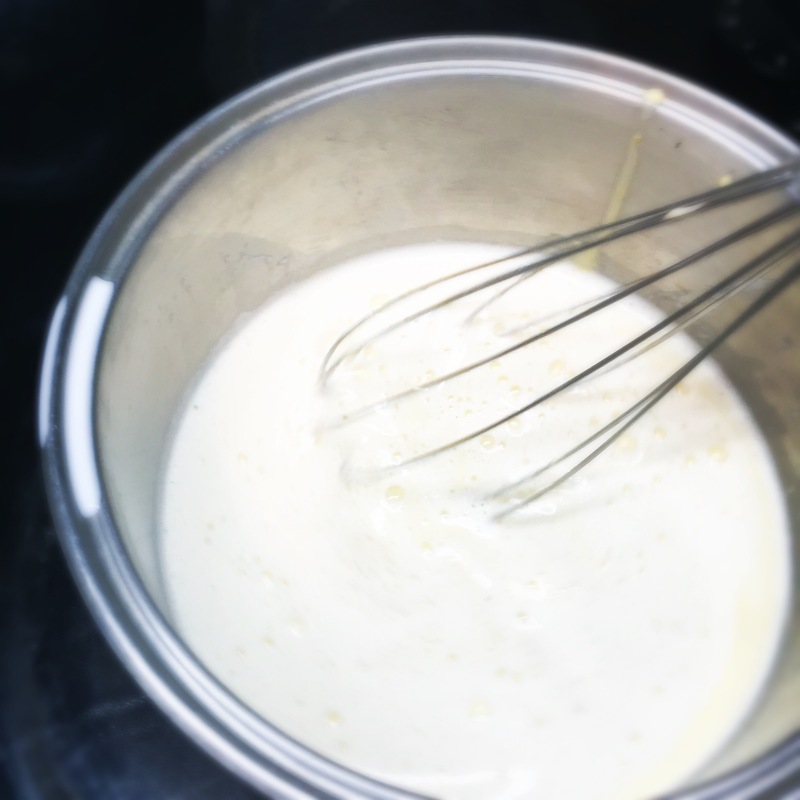 Pour 1/4 cup of the warmed milk into the egg mixture and whisk until combined. Pour the egg mixture into the saucepan with the warmed milk. Over medium heat, bring the mixture to a boil while whisking constantly. Once boiling, continue to whisk until the cream thickens. 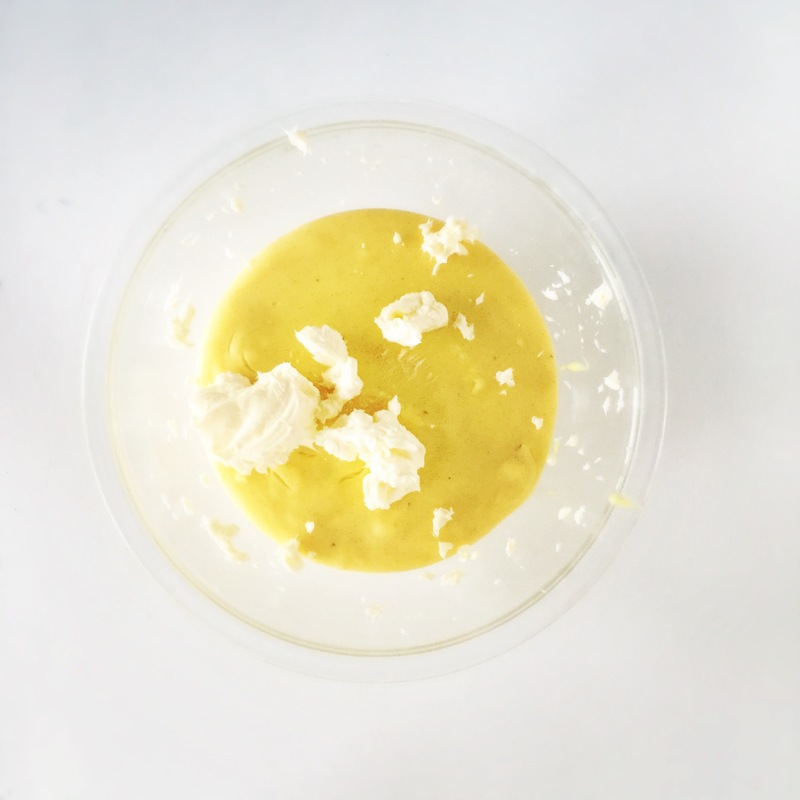 Once the cream has thickened, remove the pan from the heat and stir in the 1/3 cup of butter until it has melted and combined with the cream. 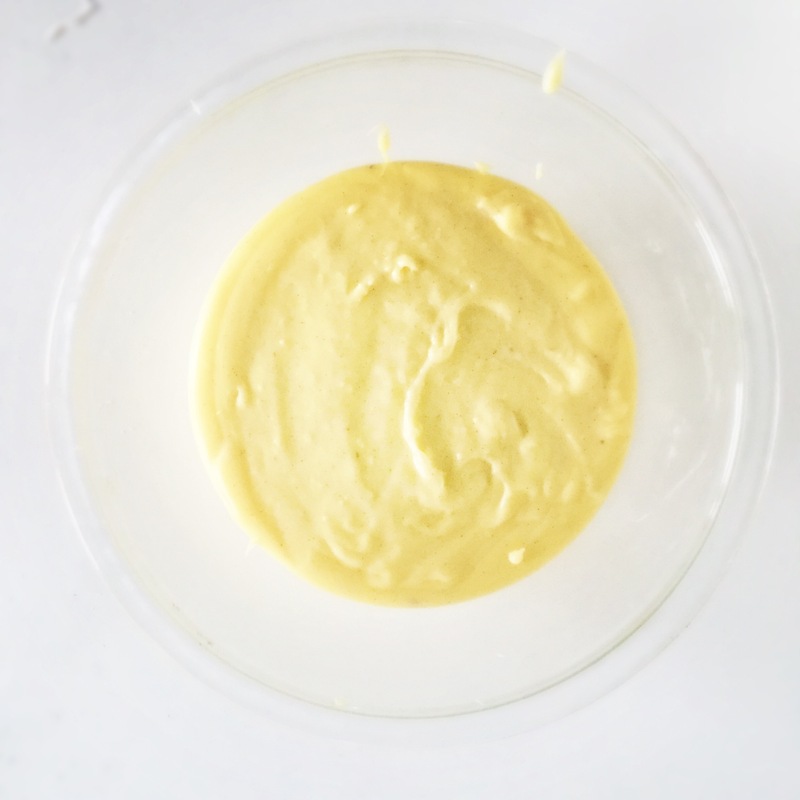 Transfer the cream to a clean mixing bowl and let it cool to room temperature. 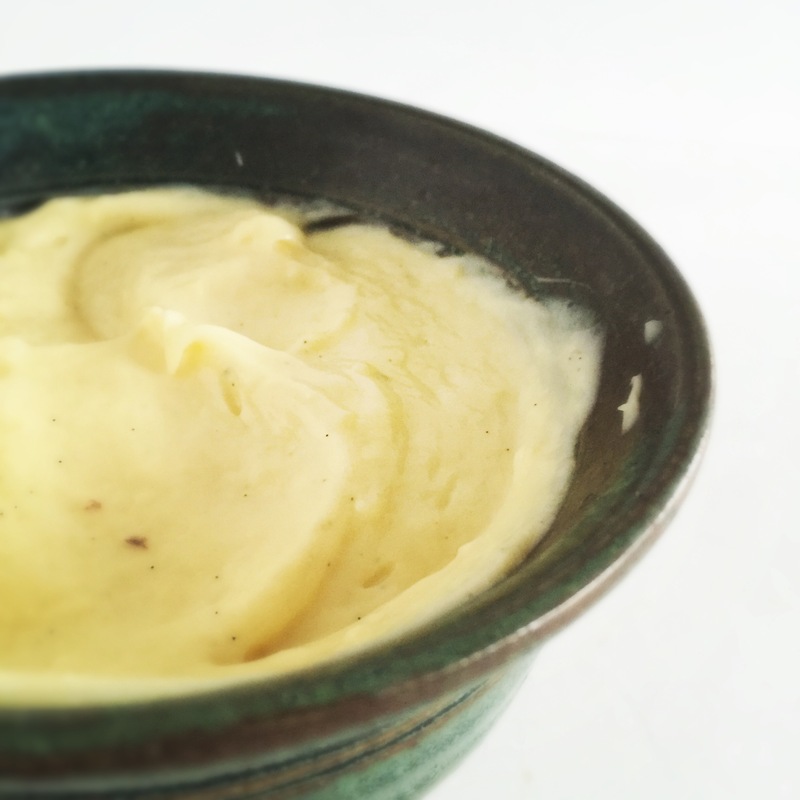 While the cream is cooling, mix the softened butter to a creamed texture. Once the creamed mixture has cooled to room temperature, add in the uncooked butter and whisk until smooth. Voila! The clock is now ticking. You have 24 hours to consume the crème. Reblogged this on baking with zombies.